First draft of Cather’s poem “The Palatine"
On February 28, 2019, Willa Cather Foundation staff members accepted a special delivery as History Nebraska deaccessioned their Willa Cather Pioneer Memorial Collection. Consisting of approximately eight thousand archival pieces and museum artifacts, much of the collection is made up of items that were donated by Cather family members and acquaintances in our early years and later gifted to the Nebraska State Historical Society in 1978 with the Willa Cather Historic Sites. Included in the collection is Willa Cather’s high school diploma and other objects and ephemera such as the Cather family candle mold and leather cuffs belonging to Willa Cather’s cousin, Kyd Clutter. Additional archival items include about two hundred letters written by Cather to friends and family and approximately 1,500 photographs of Cather, her family members, early Red Cloud, and the Cather sites. The creation of a dedicated archive and museum space at the National Willa Cather Center alongside the growth and development of the Willa Cather Foundation has made it possible for us to once again own and preserve the WCPM Collection and the Willa Cather Historic Sites. 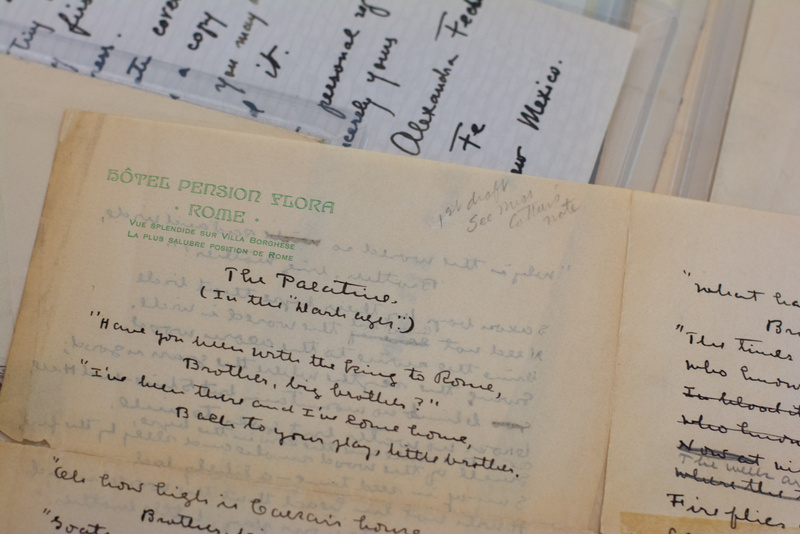 The collections and archives at the National Willa Cather Center make up a large and growing body of artifacts and manuscripts related to the life and work and times of Willa Cather. We actively seek new donations of materials relating to Cather, her family, her literature and her literary prototypes, and other items that shed light on the period in which she lived and worked. To inquire about donating materials or to make an appointment to research the collections, please contact archivist Tracy Tucker at ttucker@willacather.org or 402-746-2653.